Today we began our Personal Narrative Writing Unit. I say "we" because our class (from Windsor, Ontario) and Mrs. Soltauheller's class (from British Columbia) are doing the unit together. Mrs. Soltauheller and I worked on the unit and all the details using Google Hangout from our homes after school last week. 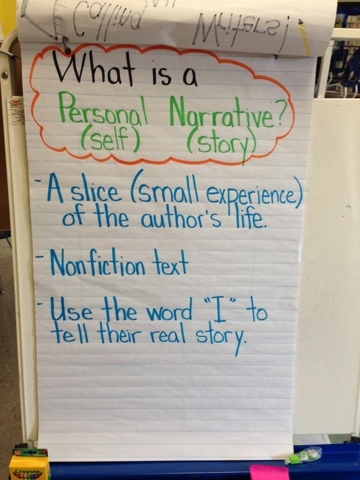 We decided that I would teach the first lesson to introduce what a Personal Narrative is and to tell the students that they would be writing their own books during this unit. I chose to read the book "BigMamama's" by Donald Crews. Mrs. Soltauheller and I thought the students would enjoy the story if I took pictures of the story and created a movie using iMovie with myself reading the story. After the video was shown, Mrs. Soltauheller called us using Skype so her class could watch and participate in the lesson. We first created an anchor chart together and we talked about how the mentor text, "BigMamam's" was a personal narrative. We then talked about personal stories we could share. 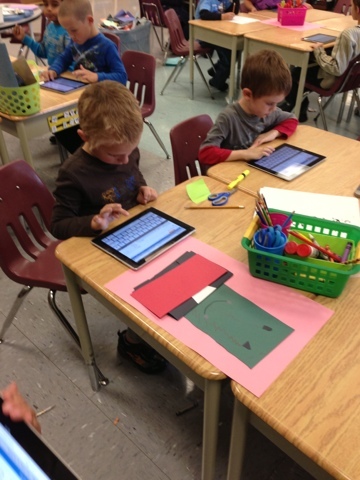 I gave each student a sticky note and had them write or draw a personal story they would like to share with the class. (the students had many ideas!) While my students were doing this I was talking to Mrs. Soltauheller's class about ideas they had that could be turned into a story. I then modeled what my first page in my story would look like. The last part of the lesson was the most exciting because I got to share with my students that they would be writing their stories on their blogs. Mrs. Soltauheller and I decided this because we are partnering one student from her class with one student with my class to comment on their partners' writing, make suggestions, ask questions and offer feedback. We thought if the students did their stories on their blogs it would be easy for others to comment and it would be a great way to see the progress from start to finish. When the stories are complete, the students will use Little Bird Tales to create an online book that we will embed into their blog post. 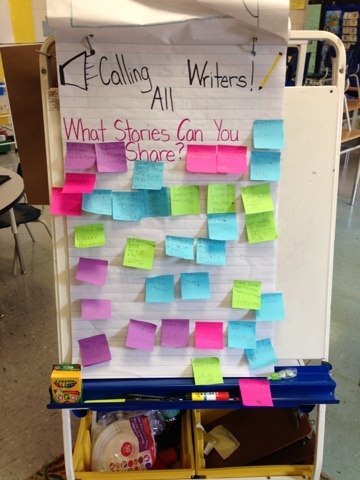 We are hoping to share our rough copy blog stories with each other the week of October 24th. Mrs. Soltauheller is also going to teach a lesson to my class on how to illustrate their books. Instead of booking out the laptop cart at my school, I put a Kidblog icon on the home screen on our iPads. That way all the students had to do was to log into their Kidblog account and we were ready to go. Here are a few of my students hard at work on their first page of their personal narratives. If you would like to see the beginnings of some of our stories, check them out here. The students used the title "My Story" for the post title so it would be easy to find until we finish our stories and give them an original title. Please feel free to ask questions on the post. It helps my students add details from the questions you ask about their writing. 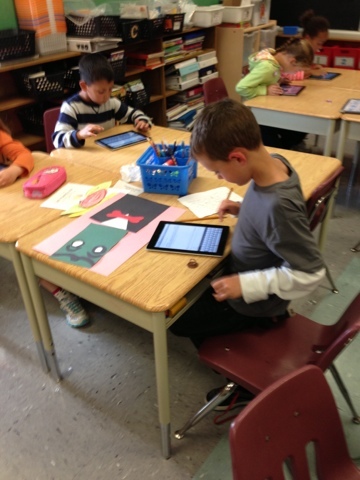 I can't wait to collaborate with our British Columbia writing buddies and to see the final product!